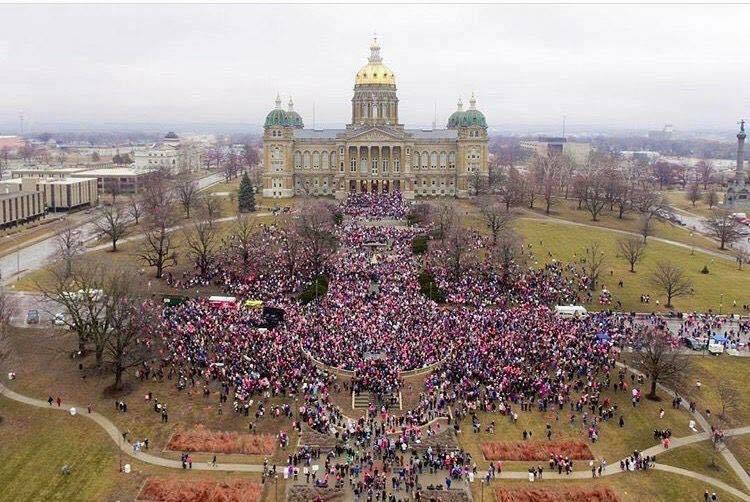 Did you see all those marchers last Saturday? 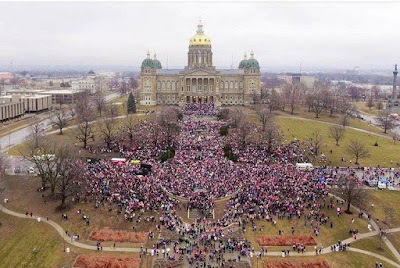 Thousands of people rallied in hundreds of cities to share their concerns about a wide variety of issues. Actually, “issues” seems an impersonal word; they have concerns about the treatment of a wide variety of people (and the earth) who are threatened, ignored or undervalued. Peaceful passion on the move! I thought about all those marchers and the people/issues they lifted up, as I read the text from Matthew for this Sunday. One commentator on the scripture said that these verses describe …the pursuit of righteousness by those who are able… for the sake of a world in which the undervalued are at last fully valued as human beings*. Yup - sounds like the marchers to me! Last Sunday, Matthew told us that “Jesus went throughout Galilee … proclaiming the good news of the kingdom” (4:32). In this Sunday’s gospel text from Matthew 5, Jesus sits down with his newly called disciples and “the crowd “. He begins what we have come to call the Sermon on the Mount that lasts 3 chapters. In them Jesus lays out ethical teaching about how to live in righteousness. In the scriptures for the coming weeks of February, we will hear a portion of that. But this Sunday, the “Beatitudes” are the introduction of his teaching. Note: “Beatitude” is related to the word blessing. These verses “proclaim the good news of the kingdom”. They don’t prescribe righteous behavior; they describe the kingdom of God which has come near. They help us learn to see what Jesus sees. A tip: I have found the contrast of descriptive and prescriptive scriptures to be an incredibly helpful concept for new insights into scripture studies. We tend to read the Beatitudes with our Western idea of cause and effect: if you act like this then God will reward you with that. Remember you are saved by grace alone! Also, note that “you” don’t come up until verse 11. Instead these verses describe kingdom living – you’ll recognize it when you see it. Those who are not noticed, or not valued, in the socio-political world around them, find themselves honored and blessed, held in God’s esteem. You can see that in Jesus’ ministry. Those touched by God’s kingdom, who show transformation through actions of justice, mercy and peace find themselves honored and blessed, held in God’s esteem. Micah says that God has told us to do justice, love kindness, and walk humbly with God. Finally, you are blessed and honored, held in God’s esteem when you have followed Jesus’ footsteps to the cross. In the Corinthians text, it is when you find wisdom in the weakness of the cross. So, keep your eyes open. The kingdom is breaking in and surprising people are blessed. You comments are always most welcome. I found this somewhat surprising article from the Hoover Institution (related to Stanford University) which seeks to improve the human condition by advancing ideas that promote economic opportunity and prosperity, while securing and safeguarding peace for America and all [people]. It doesn’t seem like a “natural” place for the Beatitudes!